The question on Issue 7 is whether you believe the person running the city should be a resident of the City. 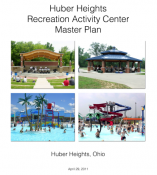 In Huber Heights, the Chief Executive Officer is the City Manager. Currently, the City Charter requires the City Manager to be a resident within six months of getting appointed to that position. This Charter Amendment asks residents if they would like to eliminate the requirement. Yes eliminates, No keeps it the same. Proponents of this change try and tell you that the Ohio Supreme Court has ruled that we cannot enforce our City Charter so if this specific Charter Amendment is not passed we will end up in an expensive lawsuit the city would surely lose. I will tell you why they are wrong later. First, let’s talk about what could be done instead of a lawsuit. If residents truly believe the person running the city should be a resident of the city, we could always change the City Charter to make that position an elected position. This could be done by either electing the City Manager or by going to a Strong Mayor concept. If residents vote no on Issue 7, I think we should have serious discussions on whether these options make sense. 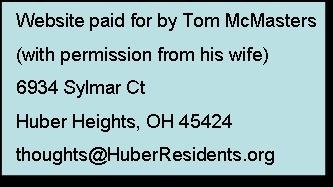 In my discussion with residents I hear that they have been told they should vote to approve this change because of the Ohio Supreme Court decision says our Charter is unenforceable. Here are some things to think about that disputes that reasoning. 1st people agree that you can put a residency requirement into the City Manager contract. If you do, then it becomes enforceable. Leaving this residency requirement in the Charter will tell council that when they hire the next City Manager, council should make sure to put the residency requirement into the contract. 2nd None of the people that tell us that the Supreme Court ruling makes residency requirements illegal for all employees, will tell us why elected officials can be required to be a resident of the city. Elected Officials get a paycheck. They are employees. If you actually look at the Ohio Supreme Court ruling you will see they only address the working level employees. It does not address upper management. When deciding whether you want the change to the residency requirement do not get fooled into thinking this change is required by the Ohio Supreme Court. There are a number of different ways to enforce the current charter including making sure the requirement is in the City Manager Contract. Make your decision on Issue 7 based on whether you believe the position benefits from having the person that runs the city also be a resident of the city. I want to know how you feel so I am not making a recommendation on Issue 7. However, I do recommend voting no on issues 4, 10, 11. I have written on Issue 4 in this article. A no vote on Issue 11 is a vote for transparency . Are you interested in the Mayor Candidates? Click here. How about Council at Large?